Although I've been super busy with packing for Boston, I couldn't leave my chic committee hanging. So apparently Alanis Morissette is making a comeback? A couple days ago, I woke up to the musical powerhouse singing "You Learn" on Good Morning America. Days later, the anthem is still stuck in my head. Let's throw on our cargo pants and crops tops for a "Jagged Little Pill" sing-a-long, shall we? A few weeks ago, I was given a slew of fantastic beauty supplies. Perfume? Check. Glitter eyeliner? But of course. Liquid lipstick? Yes...wait, what? 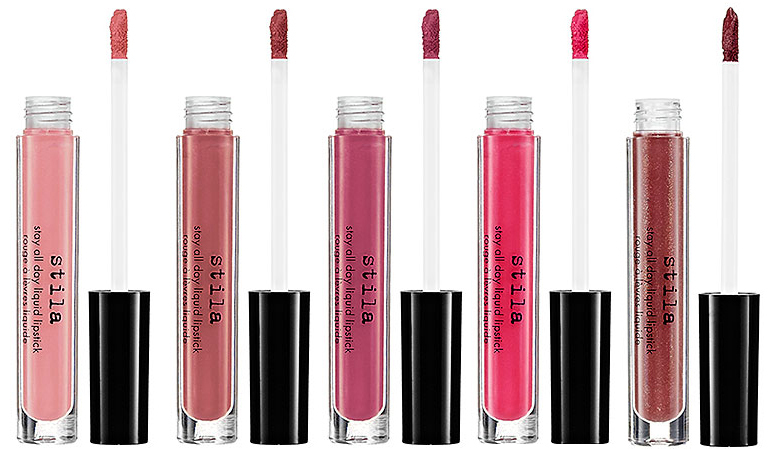 Well my delicious tastemakers, liquid lipstick is exactly what it sounds like. 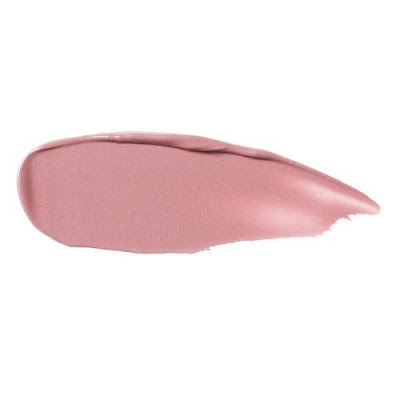 You put on this magical necessity as if you're applying lip gloss; however, your luscious lips are given a pop of color that only a lipstick can supply. So genius. I'm also pleased to report that this color stays on for hours. Leave it to Kate Hudson, Hollywood's resident "Queen of Cool," to give a monochromatic Gucci suit a boho-chic vibe at the 2012 Venice Film Festival. Though I'd nix the dainty necklace and tailor those pants , Hudson has the rest of the look down perfectly. To mix up the white-on-white ensemble, Kate adds the simple tan tank. With a pair of aves in hand, the nonchalant ensemble lives on. For the grand finale, Hudson comes equipped with her infamous relaxed waves and fresh makeup. This look is not perfect; however, I truly admire Kate for never losing sight of her aesthetic. What does one wear to The Sunset Strip Music Festival, you ask? Take a page from Nicole Richie's book and create a polished, yet funky, look with clashing textures. The fashion guru paired a soft Mulger top with an edgy leather Winter Kate skirt. Mixing and matching fabrics is a must for the upcoming season. Not only will your wardrobe suddenly have an array of options, but your outfits will have an added depth. On a completely different note, I also adore that colorful clutch! I'm such a sucker for old school movies. Recently, I aided my nostalgia with Long, Long Trailer. But seriously, how could you resist Lucy's infectious comedy and Desi's adorable accent? 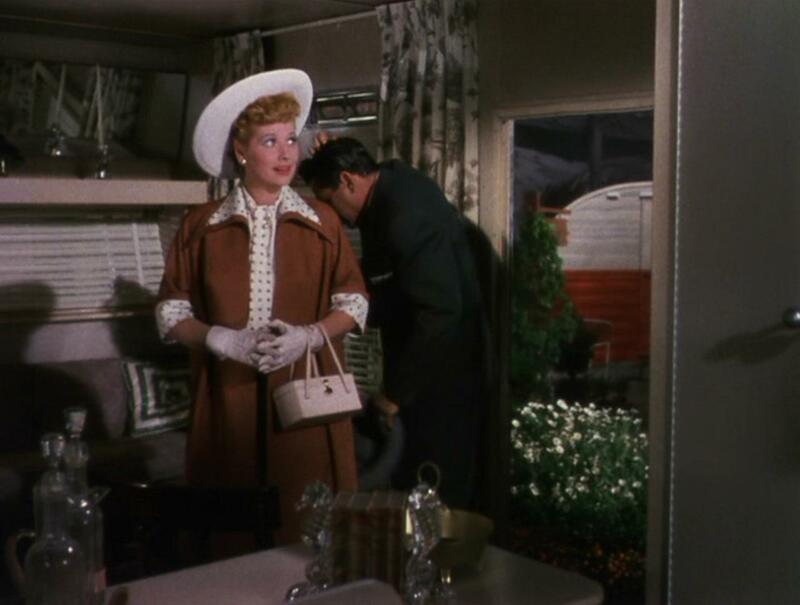 Not to mention Lucy's ensembles are the epitome of 1950's glam. Polka dots, fabulous hats, calf-friendly hems...need I say more? Additionally, I'd like to call everyone's attention to the fact that this movie makes the seemingly impossible possible: apparently, trailers are glam! Believe it or not, summer's not over just yet. Before you pull out your cardigans and amazing booties, do me (and yourself) a favor -- embrace the last few days of this season! I know what you're thinking: dressing for the summer is so draining. Recharge your fashion batteries and check out my top end-of-summer picks for that necessary dose of summer style-spiration. In my opinion, summer is all about rocking unapologetically feminine pieces. From pastel bikinis with girly fripperies to soft, whimsical patterns, the options are endless! With a slew of towels, sunnies, and "out-of-this-world" silk scarves to choose from, don't forget to accessorize! But what if you're a risk-taker and need a splash of edge? I hear you, style mavens. Juxtapose your ladylike attire with minimalist sandals or a punchy red lip. Now that you have the look down, it's time to bask in the sun! I would officially like to welcome everyone to "Whats Trendy?," the new weekly section of The Trendologist. While this weekly post will be similar to the former "Style Files," I will now be discussing my top five favorite trends of the week, whether they are music, products, restaurants, etc. After all, trends are everywhere-- not just fashion. But obviously, there will be a heavy dose of fashion. Shall we get started? I think so! Favorite band of the summer! One of my friends showed me the band's hit, "Anna Sun" a few months ago. Since then, I've found myself absolutely smitten with Walk the Moon. My favorite song of the moment? "Shiver Shiver"! The relatable lyrics mixed with the funky beat is perfection. Can we briefly discuss how ah-may-zing these Rodarte shoes are? From the beaded details to the layered sand in the heel, leave it to the Mulleavy sisters to make every last frippery count. Although these shoes are quite crazy, I think they're extremely versatile. Rodarte's out of this world kicks would look stunning with a hi-low skirt, skinny jeans, or harem pants. So major. Honestly, what fashion person isn't obsessed with Lady V? Her quintessential high-fashion attitude and polished ensembles are bound to make any style savant swoon. I adored the Spice Girls' reunion this past weekend, not to mention Beckham's Giles ensemble was fantastic. I loved how the dramatic train added some movement to Posh Spice's infamous LBD. Listen up, beauty junkies: I'm head over heels in love with Benefit's Full-Finish lipstick. Over the past few years, I've been obsessed with the smokey eye/ light lip combination. In my humble opinion, Benefit's "Mod Squad" is ideal for this look. So Brigitte Bardot. For a finishing touch, pile on the mascara! If you haven't realized yet, I'm extremely obsessed with black and white ensembles. Is it just me, or is that combo the definition of chic? Let's just say that Mrs. Orlando Bloom nailed this look. Kerr spices up the otherwise noir outfit with a hypnotizing jacket. Want to copy this look? Make sure you add that cropped pant or else you'll look too wintry. A poppy red lip and the super sleek hair act as the perfect finishing touches. J'adore. My lovely readers, I'm back and better than ever. Thank you so much for bearing with me as I revamped the blog. I cannot tell you how excited I am to share my crazy, sartorial thoughts with you! Let's jump right back into life in the fab lane, shall we? Yes, I did make a reference to Kimora Lee Simmons' "reality" show. Nobody's judging, right? It all started when I bought this XCVI dress from Bloomingdales. While I'm obsessed with loose maxi dresses, I was a little skeptical about this bad boy. I mean, it's tie dye. The last time I wore tie dye was for "Decades Day" during my high school's spirit week, a.k.a. years ago. Was wearing tie dye even acceptable? Or would I be banned from the world of fashion for good? Like any style savant, I'm always willing to take risks. 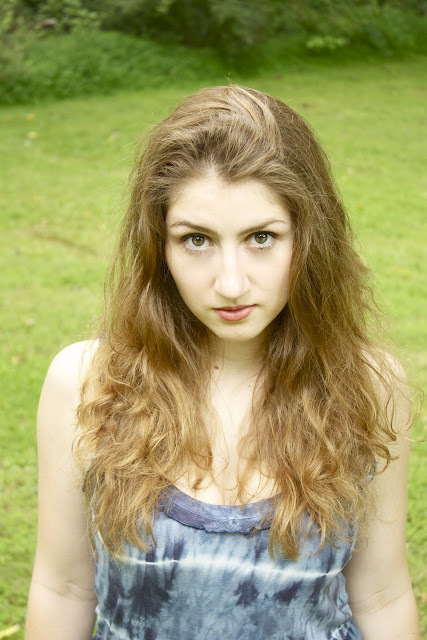 So I put on my brave face and donned the tie dye dress to my latest Montauk trip. Surprisingly, my friends adored my getup. I let out a sigh of relief, knowing that once again, my risks had paid off. Originally, I styled this dress with gladiator sandals and a bold lip; however, I love the laid back, boho-chic vibe this look exudes. I did some research and realized that tie dye is acceptable when you follow modern day rules. What are those rules, you say? I may have taken a small hiatus, but when have I let you down? 1. Pair thy tie dye with neutrals. 2. Thou shall wear only one piece of tie dye per ensemble. 3. Dip-dye and ombre are also acceptable. 4. For a sleek look, stick with dark colors for thy dye. 5. Stick to two colors whilst rocking thy tie dye. 6. 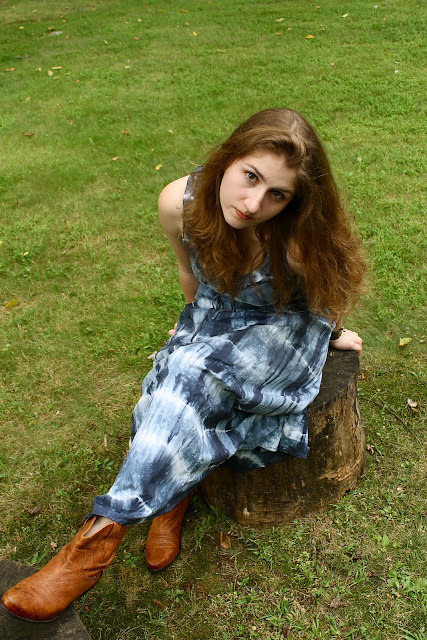 Never wear tie dye in the form of a peasant skirt. It's so different from a maxi dress. 7. By the hammer of Thor, please do not wear tie dye with fringe. Or suede. 8. Embrace a summery theme for this outfit. 10. Thou shall not care what others thinks of thy tie dye, for you only live once. Don't believe my offbeat rules? I'm not the only one who's embracing this blast from the past. From backpacks to denim, there's no fighting this style reprise. What do you think of this trend? I'm dye-ing to know!